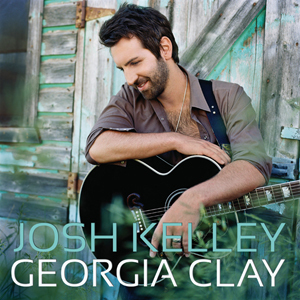 HomeSingle ReviewsSingle Review: Josh Kelley, "Georgia Clay"
Single Review: Josh Kelley, "Georgia Clay"
lley-Georgia-Clay.jpg” alt=”” width=”150″ height=”150″ />He may be the latest of many pop dudes gone country, but I’ve got a feeling Josh Kelley could actually stick around for a while. Just because it makes business sense. He’s famous enough to enjoy name recognition, but not enough to seem like a desperate has-been for switching teams; plus, you don’t need your music to be especially “country” to market it under that name now anyway; plus, I suspect that lots of Lady Antebellum fans will be willing to give Charles’ big bro a shot. Is he any good, though? Beats me; haven’t heard the old stuff. I can only say that it’s hard to tell from his country debut. “Georgia Clay” is the most generic sort of high school nostalgia – the most interesting line here is “Only one of my friends with a fake ID / Yeah, it made me the hometown celebrity,” if that gives you an idea. How do all these songwriters not realize they’re writing the same damn song? The vocal, likewise, is indistinct, and even the melody feels weak, taking repeated listens to stick. Did I miss anything? Promotion will push this dud to a decent spot on the charts, you’ll forget it happened as soon as it’s gone, and hopefully Kelley’s round two will be more promising. Typical 2000s. Spot-on review. It seems like you might expect a song about the “Georgia Clay” to have a certain rawness about it, and not so much of this slick and polished pop-rock sheen. But again, that’s country music in the 2000s. …being publicly asked what this song was about, after hearing it for the first time, could produce some seriously embarrassing moments. i guess, the country music hall of fame won’t have to rearrange anything in order to make room for a new member. Your last paragraph was brilliantly on target. I’m guilty of somewhat enjoying this, but I’m gonna blame that on being born and raised in Georgia. Also, I’ve just decided to stop listening to what the lines actually mean and just mindlessly sing along. Makes it infinitely more enjoyable. I don’t mind the song –actually sort of like it– but you’re so right; I’ll forget about it in a few months’ time. Don’t know any of his other stuff, though. If Josh Kelley being around means Katherine Heigl shows up on country music award shows I’m all for it. Country music is just quickly becoming background noise anyway. Josh Kelley’s “Backroads” album is pretty good, as it’s a mostly acoustic affair.